Len Feehan is a hands-on, proactive, digital communications professional with over 30 years of diverse experience. He successfully operated his own digital marketing communications business prior to joining forces with Global Outcomes Group. Feehan has extensive programming, marketing, print production, web, and interactive multimedia development experience. His project management skills have produced digital programs for a variety of international pharmaceutical, medical device and chemical companies. As the lead Digital Strategist for Global Outcomes Group, Len leverages highly effective project management skills to drive complex cross-functional programs. Feehan has also consulted and produced several custom digital library programs, e-Newsletters and effective mobile/audio production programs. Len has helped global executives build, grow and protect strong online reputations. He trains and consults with C-level executives and managers on digital communications and social media. 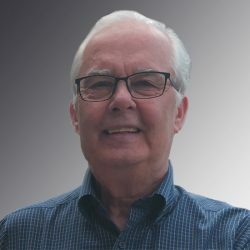 Clients and colleagues rely on Len’s creativity, digital marketing, and problem-solving expertise to assure projects are delivered of the highest quality, on-time and within budget. Feehan optimizes the use of data, technology and digital tactics to improve your audience’s experience and understanding of your products. His goal is to help you engage your audience more effectively and let you easily share the many layers of information in a timely manner via a smartphone, tablet or a desktop/laptop computer.